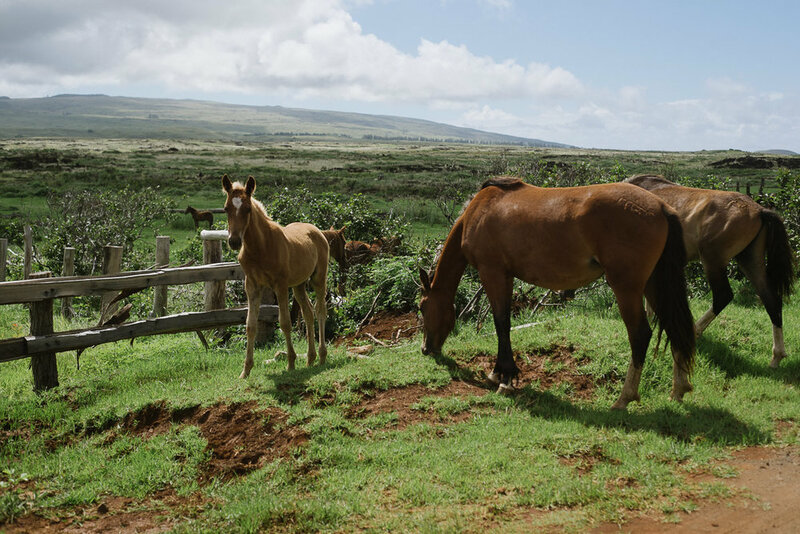 Rapa Nui is a tiny island housing about 10,000 citizens. This small community has one main drag and zero stop lights. 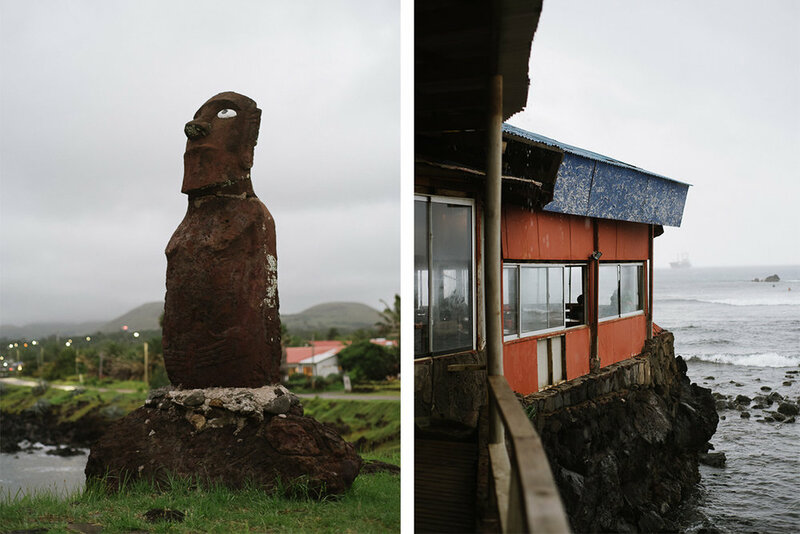 We took a quick cruise through the town and harbor before arriving at Hotel Hanga Roa. This eco modern hotel on the waterfront had the friendliest service and did everything to make sure our stay was exceptional, even providing a special dinner for my friend’s 40th birthday. We grabbed some bikes and headed to town. Upon recommendation of the ‘best empanada’ in town, we parked the bikes and walked into Ariki te Pana. The description of ‘best empanada’ did not disappoint. If you are from Chicago, you might be familiar with 5411 Empanadas. There is one by my office and I eat plenty for breakfast and lunch. I like those. These empanadas are nothing like that. For one, the size of these beauties is exceptional. One will do it. Let’s talk about the filling options in these hand-held heavenly pockets. Atu and queso. Camarones. Carne. Oh my. The flavors were simple outstanding. Which moves me to the actual pastry crust. Flaky. Freshly fried. Chewy, crispy perfection. The hot and crispy outside was significant enough to house the hot delicious goodness on the inside. 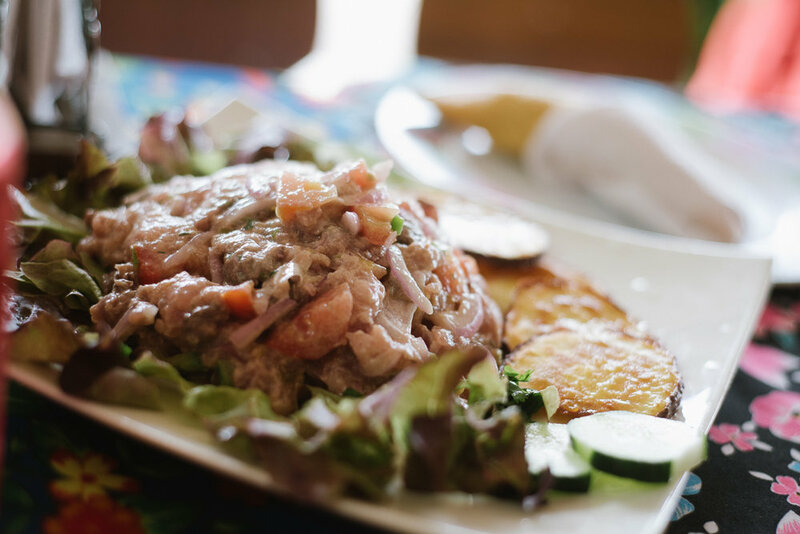 Not to be overshadowed by the empanadas, the ceviche was exceptional as well. This tiny road side cafe brings a smile to my face. If I could time travel, I would go straight back there. Don’t go in a rush, these beauties take about 30-40 minutes to arrive in your hands. It’s worth the wait. 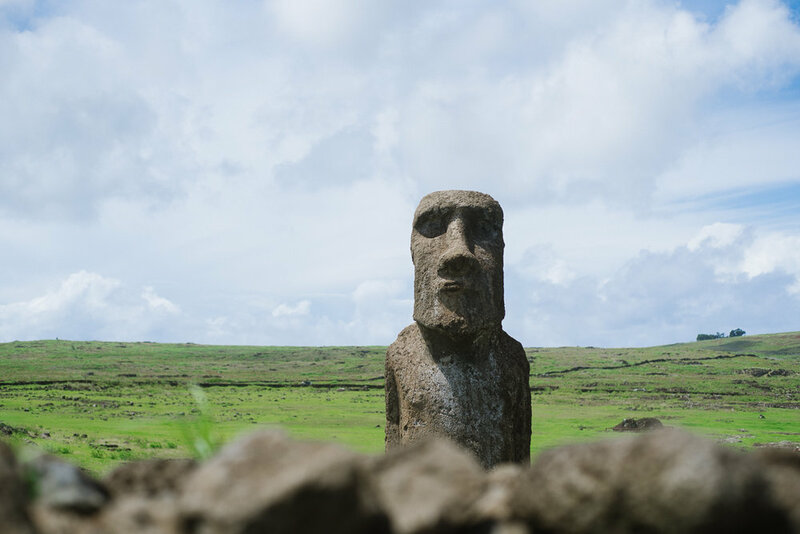 Perhaps the most famous and iconic thing Easter Island is known for, is the Moai. 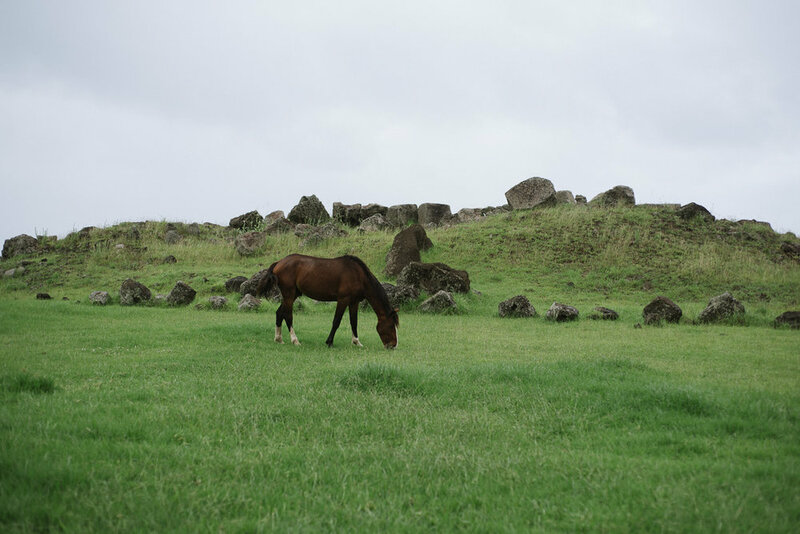 We joined up with Marc Ross Shields from Green Island Tours to take us around the island and learn about the significance of Moai and Rapa Nui culture. It’s hard to realize the stone heads’ grandeur until you are standing next to them. The heads are formed from various types of stones and is truly a wonder. We finished off the day with a horseback ride through the rural lands. 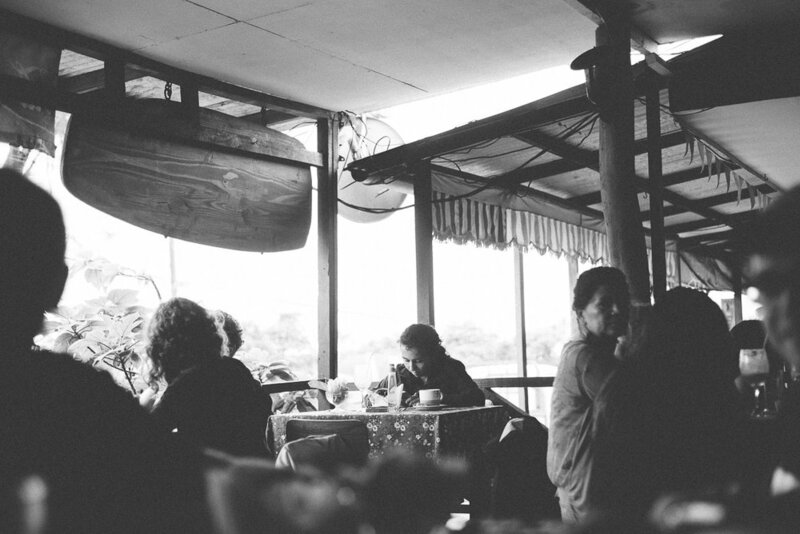 Meeting people from around the world is one of the best things of travel. You get to talk to people you never could have met. Marc is a kiwi who met his wife while in New Zealand. His wife is Rapa Nui and so they moved to Easter Island. 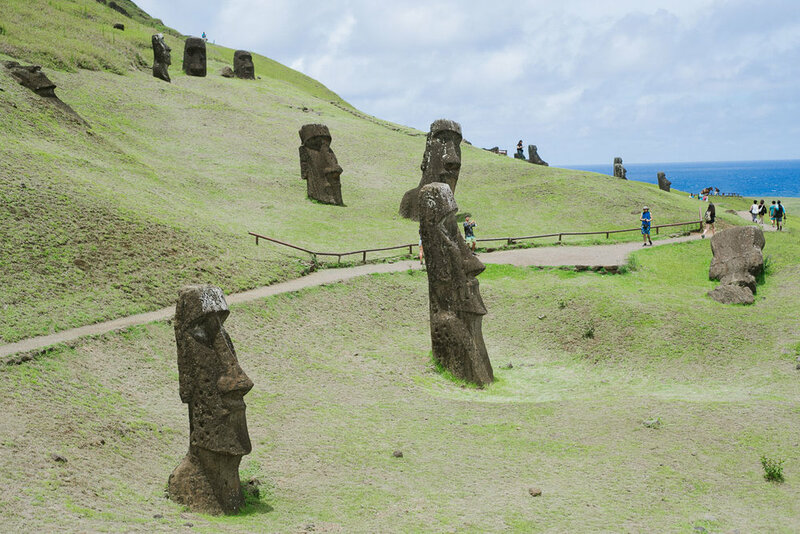 One of the interesting talking points was about the native Rapa Nui and the present day Chilean culture. 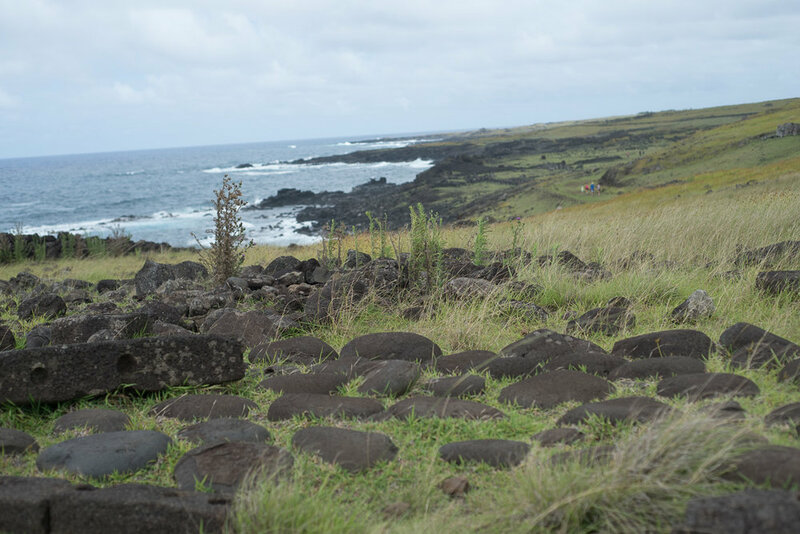 While Easter Island is considered part of Chile, it is clear the native Rapa Nui are committed to preserving their culture rich in history. Thank you Marc for sharing your knowledge and talking story. Renting a car and driving around wouldn’t have been the same. For this last shot, I passed the cam to Marc Ross Shields, from Green Island Tours. Marc is a great photographer! After a short 48 hours, we packed our bags ready to embark on the third leg of the trip, Patagonia.